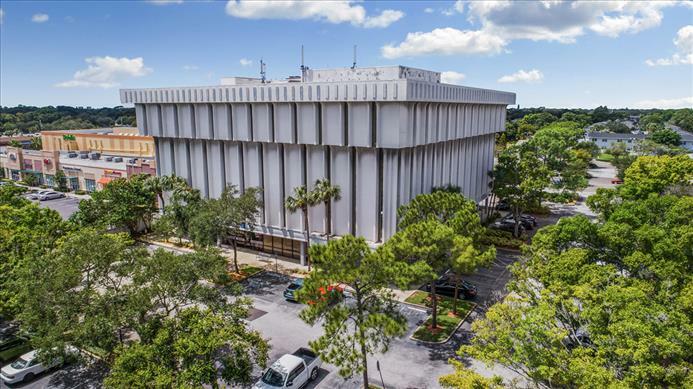 Ciminelli Real Estate Services is pleased to present this opportunity to acquire Tyrone Crossing, a two building office complex located in St. Petersburg, Florida. The subject property consists of two Class C office buildings constructed in 1981. The primary 5-story building contains 72,078 square feet, and a secondary “annex building” contains 3,081 square feet. The asset sits on a 3.96 acre site with 260 parking spaces. There is very little competing office space in the immediate vicinity, and new ownership provides the opportunity to reposition the property take advantage of improving market fundamentals for office and medical office use. 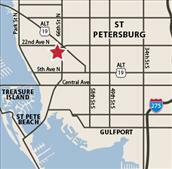 The property sits adjacent to a new Publix, just SE of Tyrone Square Mall (a four anchor Class B Simon owned mall). The immediate area is more retail and residential in nature than it is office. The site is highly visible from the highly trafficked 66th Street North (approximately 42,000 cars per day). This corner site would be ideal for a retail redevelopment scenario.